Battleground: Antietam simulates the set-piece battle between General George B. McClellan’s Army of the Potomac and General Robert E. Lee’s Army of Northern Virginia, around the town of Sharpsburg, Maryland on September 17, 1862. 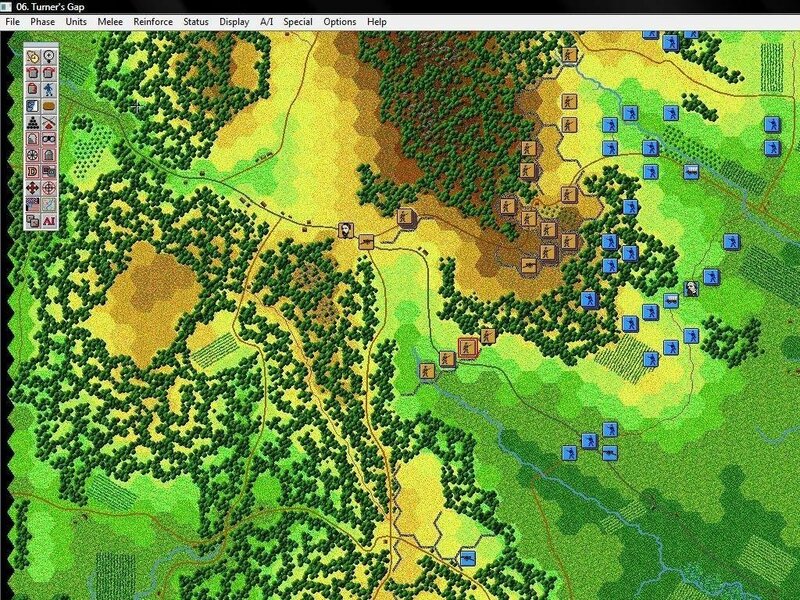 The designers have also featured a bonus battle, South Mountain, which occurred several days prior to this engagement. 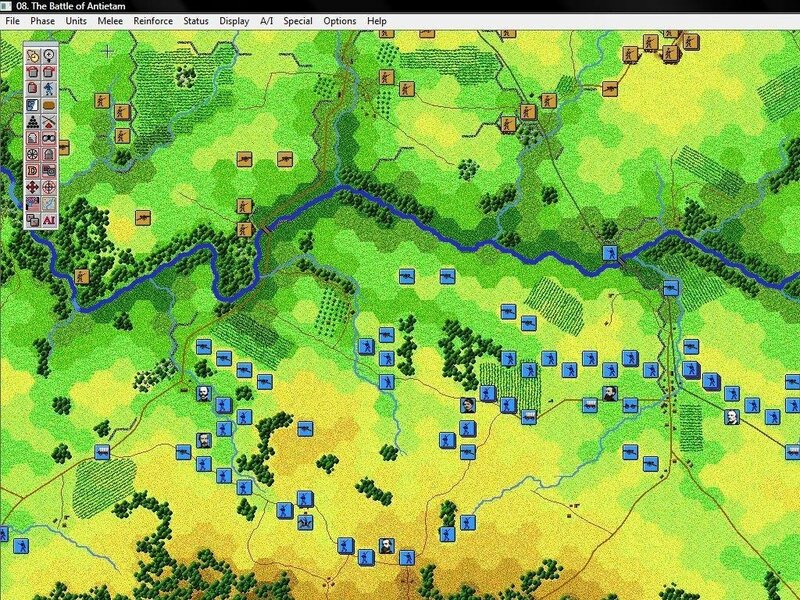 Regular players who are familiar with the Battleground series of wargames will have no trouble tackling Antietam. Unfortunately, the same also extends to the computer AI; while some improvements have been made, the computer opponent still comes up with some incredibly quirky and erratic maneuvers from time to time. The inclusion of head-to-head play via modem, email or hot-seat means you can drop the AI altogether and engage with another human player – though this by no means makes the computer-controlled general completely useless. The game looks and sounds just as impressive as its predecessors do. 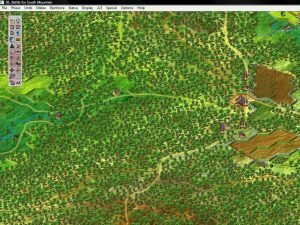 The Battleview map provides the player with one of the best isometric renditions of a battlefield ever seen in a PC game, and the period music, sound effects and multimedia re-enactments all add to the feeling that you’re truly there. I do suggest you turn off the multimedia clips after the first few turns, though; they lengthen the turn resolution process considerably and, like Gilligan’s Island re-runs, tend to become rather monotonous and repetitive. 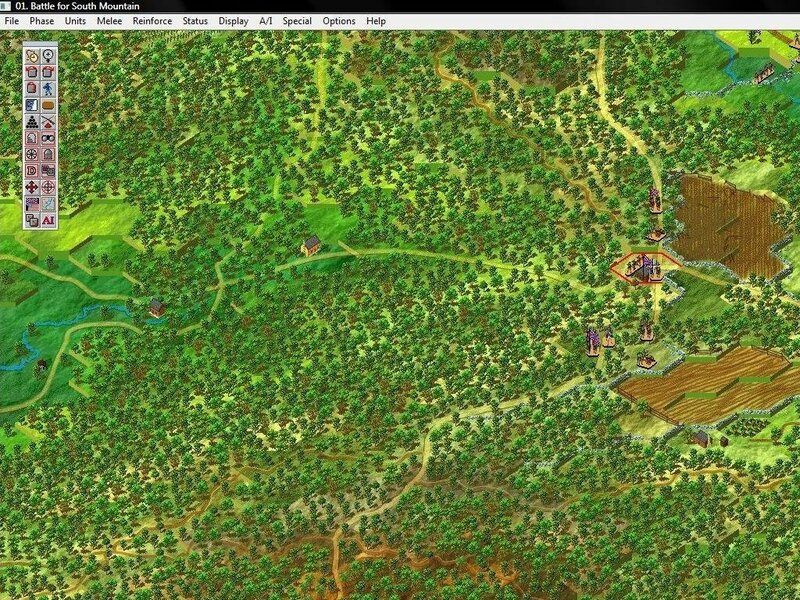 As with other Battleground games, research and attention to detail are king. Read the extensive bibliography provided (if you’re so inclined) and compare the eye-witness accounts, after-action reports and historical analyses with the inherent gameplay and you’ll find this game simulates most of these observations with uncanny accuracy. The ranged fire and melee rules carry enough chrome to display the strengths and weaknesses of each weapon type and simulate the deadliness of melees to a vicious degree. The fatigue and disruption rules handle the flow of battle neatly. 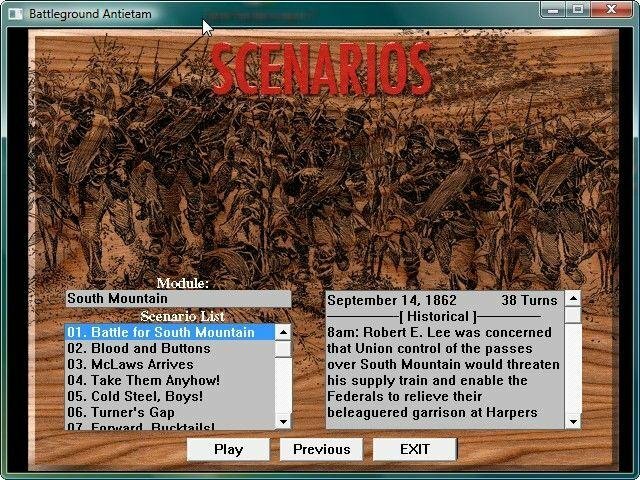 As with previous games, Antietam will mainly suit those strategy gamers who have a passion for microscopic historical accuracy. It should, however, suit beginner wargamers who don’t find the batch of regular real-time strategy games cerebral enough. 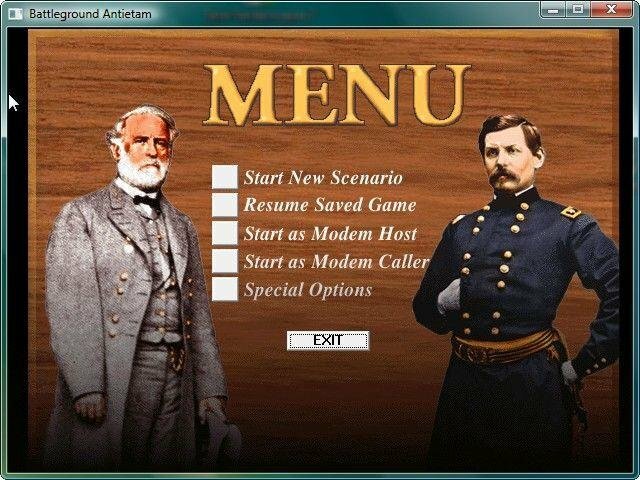 Whether you’re a Battleground die-hard or a gamer looking for a change of pace, Antietam comes highly recommended!